Justin Trudeau's right-hand-man says the prime minister did nothing improper as a deepening political crisis threatens the government's re-election chances. Here's what you need to know. But Gerald Butts, Mr Trudeau's former principal secretary, says there was no political pressure - only concerns for how the prosecution could affect local economies. Trudeau's right-hand man: Gerald Butts has been described as the "most important Liberal in Canada today" whose last name is not "Trudeau". 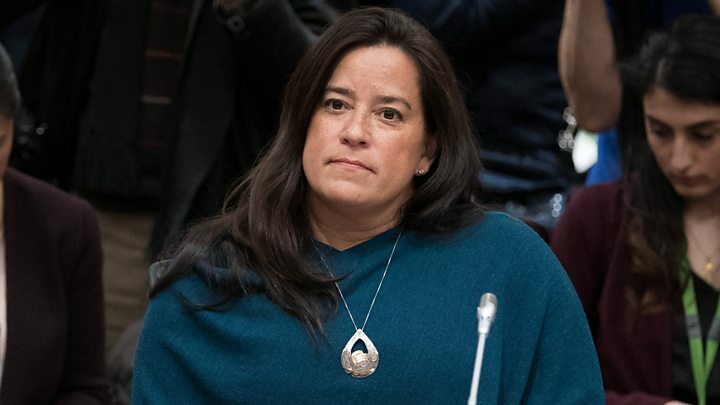 But all that changed in February, when Mr Butts resigned amid rumours he had pressured the justice minister to cut a deal with SNC-Lavalin. Mr Butts is one of Mr Trudeau's closest allies, and the two have been friends since their university days in Montreal. He is credited with helping Mr Trudeau win the Liberal party leadership in 2013 and was a key architect in the Liberal party's sweeping 2015 electoral victory.